Her path led her to Arizona State, where she graduated in ’07 with bests of 15:50.19 and 32:30.37 and an NCAA Indoor 5K title on her résumé. Solid stuff, but the shoe companies didn’t come knocking. Still she persisted, learning from the great ones and improving steadily. 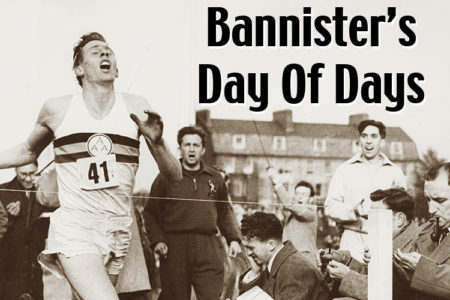 In ’11, a debut marathon in 2:27:03. 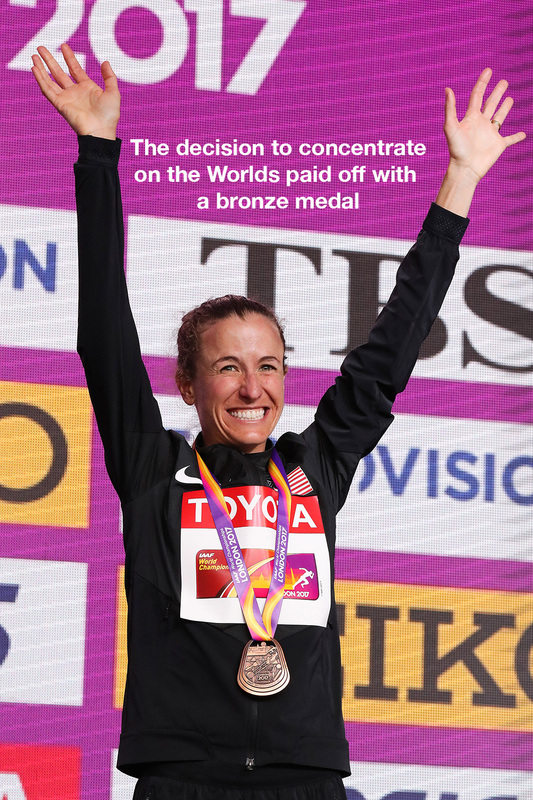 The next year, she finished a crushing 4th in the Olympic Trials Marathon. 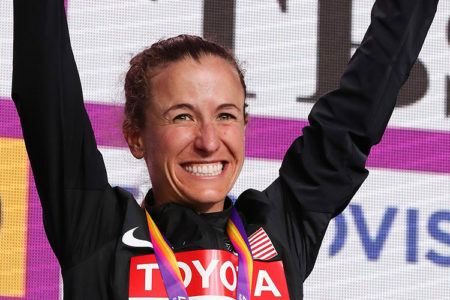 A win in the Trials 10,000 helped assuage the pain, but she knew her future was at 26.2M. 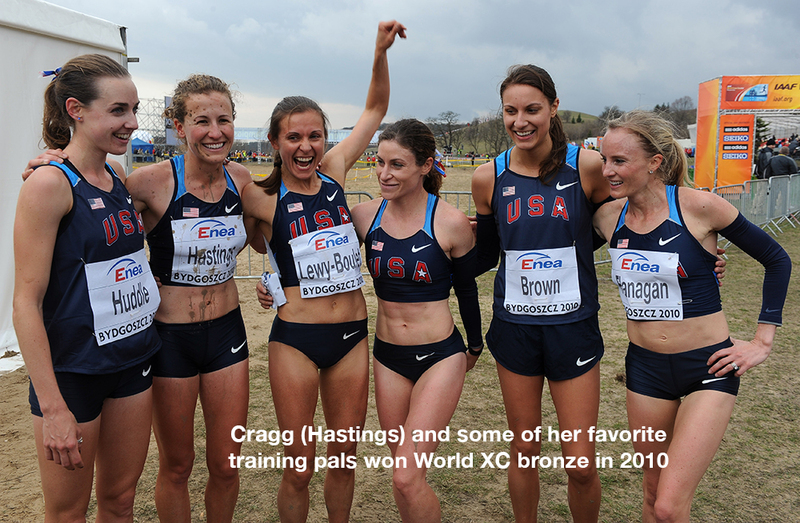 Insert a marriage to former Arkansas distance star Alistair Cragg in the fall of ’14 and fast-forward to now. Under her belt, a 9th-place finish in the Rio Olympics. Last summer, at the London Worlds, she shocked many by grabbing bronze. And then came this year’s Tokyo race (click here for road news). With her eyes on a fast time, she accomplished just that, her 2:21:42 moving her to No. 5 all-time among Americans. T&FN: How did you start running? Cragg: I loved sports when I was little however I wasn’t really very good at any of them. But I loved being part of a team. So I looked into cross country and I realized it was something where I could actually contribute to the team instead of just being a benchwarmer and a cheerleader. 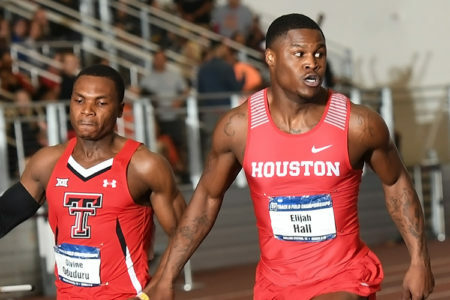 I learned how to work hard doing these other sports I wasn’t good at and I put that into running and started to find that gradual success throughout high school. I just didn’t know nationally how good everyone else was so I thought I was pretty good. Cragg: No, they don’t. But no one told me that. I started as a 5:30 miler and then realized I was better at the longer- distance stuff. At the time, [Kansas] was a really good place for me to start. I think if I’d been in California or someplace I would’ve immediately been crushed so badly that I would not have been able to even see the light at the end. 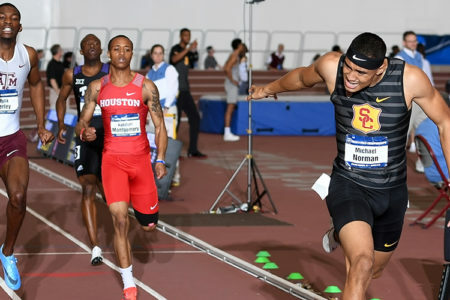 T&FN: Then at Arizona State, at one point you were running the steeplechase. I really liked it. I thought that was what I was going to do throughout college but my sophomore year in practice I went over the barrier the wrong way and I broke my foot. That ended that. T&FN: Your first marathon was at age 27. In hindsight, was that the right age to start? 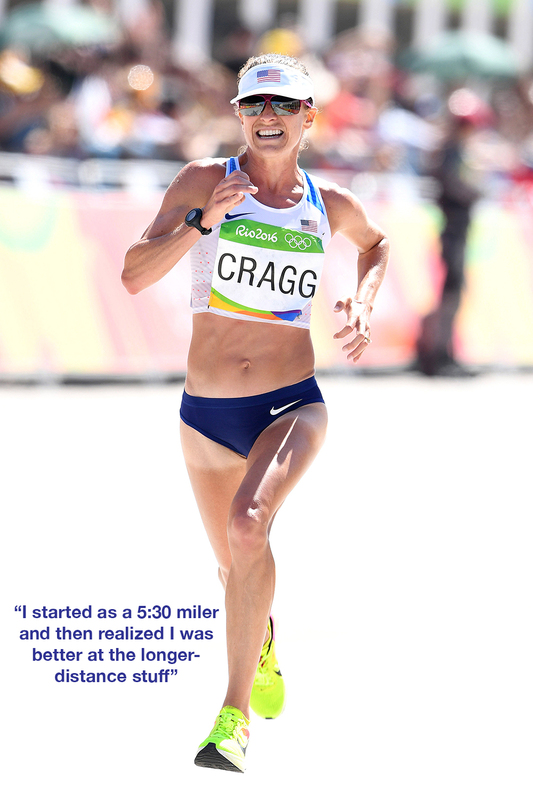 Cragg: I had wanted to do the marathon for quite a while, but my coach at the time just didn’t think I was ready for it. I kind of wish I’d started training for the marathon earlier than that. As soon as I started doing that training it was like everything clicked. As soon as I started doing that and actually training more for the marathon, my 5K and 10K got better as well. I’m a very big mileage person and usually if I get that huge base in, my workouts, even the short stuff, would be faster than if I didn’t get the big miles in. T&FN: What is big miles for you? Cragg: In a marathon buildup, [per week] I will do about a month and a half in the 140s [c225km]. That’s like my max. But 130s is pretty common. T&FN: Was it scary jumping off that ledge and going double your longest race distance in your first marathon? Cragg: I was standing on the starting line and I actually felt almost scared. Because so much was on the line for me. If that race didn’t go well it probably would’ve been the end of my career. There was just so much pressure. I was doing something completely new and completely different but at the same time it was that feeling you get in your first race as a freshman in high school. It’s scary but then the second you start running it just feels good, just feels right. All that worry leaves you. T&FN: With only 9 marathon starts in your career, do you still feel like there’s a lot of learning going on? Cragg: I have a lot to learn. I wouldn’t say I’ve mastered it by any means. I think I’ve gotten a lot better. Every time I step on the line I look around and I know I’m prepared better than anybody else. And I draw a lot of confidence in that. I know there are still things I have to work on. Unfortunately, the learning in the marathon, it’s not something you can be told and just do. It’s something you work on every day for a year and a half straight before you can implement it in a race. I know there are women who are better than me, but I go in with such a good game plan and such knowledge of the race that I wouldn’t call myself a rookie. T&FN: How did your goals—and your priorities—change in 2015 when you moved to Portland and started working with Jerry Schumacher? Cragg: It’s been wonderful. He takes a very methodical approach to training. We had to take a step back for a little while because early on I went from being kind of a 5K/10K runner and then making a big jump up to the marathon. We knew we had to improve my half-marathon. And we had to improve my 10K because I needed to improve over the last 6M of the race. We had to work through a lot of those things I kind of skipped over earlier on in my career. We have done that and it has been amazing. Every race is a different goal. Every training segment is a different goal, how we build on previous training segments and it’s all been geared toward 2020, hopefully. “I think with the championships-style race, no matter how fast the race is, you’re always going to end up in a really prolonged kick. You prepare differently in the sense that you have to make sure that your 10K speed is still there. And that you can get to 20M and still race. 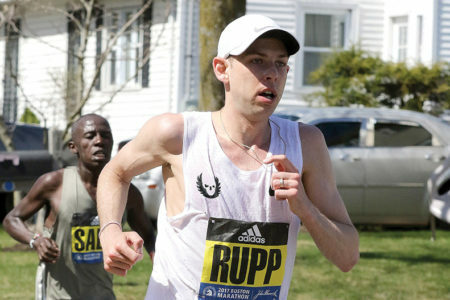 “In the Marathon Majors, it just depends on the race. It may be a slower race with a really fast kick or it can be an even steady pace the whole time and you have to work on certain moves. “Really, I wouldn’t say it’s that different from championships-style racing to World Marathon Major races. It’s the difference between each individual race. T&FN: Were there many substantial changes in your workouts with the move? Cragg: I do a lot more mileage. That’s been really big. It took me a little while to adapt to that. The workouts are much more intense. This [year] is probably the first marathon training segment that I finished every single workout. They’re really hard, really intense. 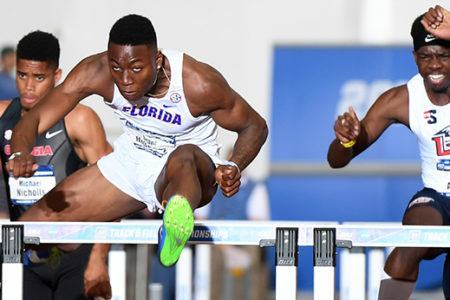 T&FN: Unlike a typical high school or college schedule, you only raced four times each of the past two years. Is it challenging to be patient enough for a very focused schedule like that? Cragg: For a very long time it was. But like building your mileage, you train yourself over the years to be able to handle that. I learned to become more patient and I’m willing to put more training in the bank and have that one big race as opposed to needing the validation every couple of weeks. It becomes easier as you become more of a mature athlete. Some people really need to race every weekend but if you just give it time, it becomes easier. T&FN: Until this year, you hadn’t bettered your debut 2:27:03 time from 2011. Was that a point of frustration for you? It was one of those things I really wanted to improve upon because when I stand on the starting line I want to be able to match up to the girls that I’m competing against. At Worlds, I didn’t care what time I ran. At a lot of these races it was just to go and compete. If I competed well then I was happy. But going to Tokyo to compete on what we knew would probably be a very fast course, we were able to get both of those things done. T&FN: In 2017, you bypassed big money in a spring marathon to concentrate on the Worlds—and then missed a fall race afterwards. That bronze medal, in effect, was expensive. Why did you make that choice? Cragg: After Rio was over, I talked to Jerry and said I want to do that again. I wasn’t satisfied. And he mentioned Worlds. It became one of my biggest goals. We thought was really possible to medal. I was sold on that. I was like, you know what? I’m willing to take the risk. I don’t do this for the money. It’s really to try to see what my body is capable of and trying to match up against other people in the world. It was such a good decision. And in addition to that, it was the last championship race I would be able to compete in at the world level before 2020. There were things I wanted to work on in order to compete well in the future. “That’s really hard to say because they’ve all had a different influence on me. Desiree [Linden], we both became super-competitive together and kind of grew up together as runners. And we had a lot of fun together. So that just made me kind of love the sport even more. And not just Des but all of my Arizona State teammates. “Then I was able to train at Mammoth with Deena [Drossin] and Meb [Keflezighi]. I definitely did not see them as peers. I idolized them the whole time. It was just incredible to witness how they trained. “Meb, he got every single thing he needed to get done during the day and then he would go home and be an incredible family man. “Deena, I swear she just could mentally will herself to do amazing things. Just so positive. She just saw the world in this incredible, beautiful light. “Molly [Huddle], one of the hardest workers ever. She’s just an incredibly dedicated person and being able to observe her for a few years, it made me realize that I could definitely step up my game. She was also a really fun person to train with. A great friend. “And then Shalane [Flanagan]. Oh gosh, I don’t even know where to start. She just pushes people to be the best versions of themselves, so having someone who just wants you to be as good as you can be and won’t let you settle for anything less, that has had a huge influence on me as well. T&FN: What is next in your marathon career? Cragg: I still have a couple things I want to do on the track. Not only do I have goals on the track but I think would really help my marathon in the long run anyway. I would like to do maybe a fall marathon this year and probably a spring marathon next year, but really I’m not sure yet. 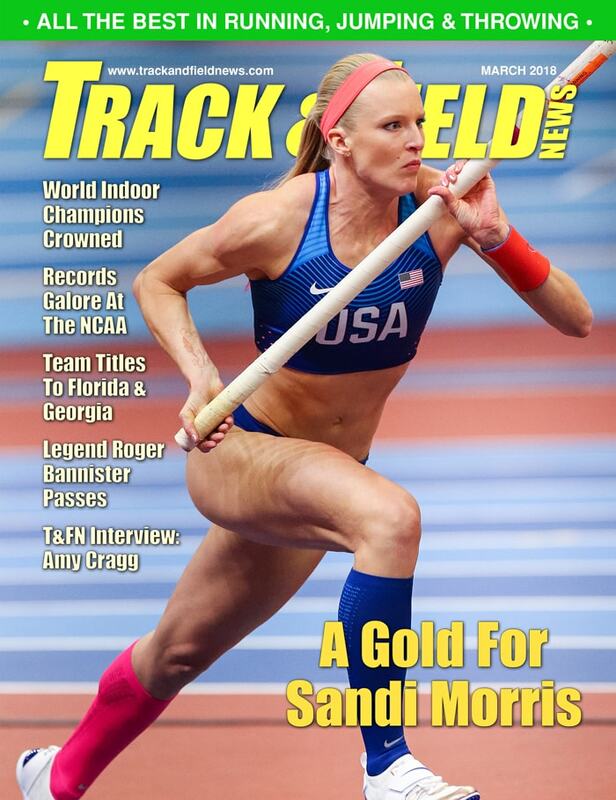 T&FN: Your husband Alistair has done some notable running of his own, with 6 NCAA titles. How is he as a support crew? Cragg: He went through everything I went through before so he knows what’s coming, he knows the path to take and the paths not to take. He’s just a soundboard and a support and I couldn’t ask for better. He’s been amazing, and addition to that he also will kill his body in order to pace me if I need him. He’s come out of retirement numerous times just to help me get through workouts. T&FN: What’s your non-running life like? Cragg: When I’m training, I am 100% focused on training. I realize there is going to be an end date to this and I want to get every ounce that I can from it. I am pretty much living the life of a distance runner. Starting [in mid-March], I’ll be back into it. That’s all I do. It’s all training and eating and sleeping and rehab and massage and chiro. Just preparing for the next run. T&FN: What advice would you give an ambitious teenage girl runner like you once were? Cragg: First off, don’t give up. There were so many times when I didn’t think it I had what it takes. But really as long as you focus on just one small improvement at a time you don’t have to worry about anybody else. Just yourself. I think what happens a lot is that they are concerned with where they’re at in comparison with other people but we are all on our own path and we get there at different times. I definitely wasn’t the best in high school but I surrounded myself with really great people who kind of encouraged me and kept me going. And because of that I was able to slowly improve. There are different ways to get there. I wasn’t a standout right away. Just don’t give up, and focus on small improvements, just trying to make yourself better each day.